This post is taken from God So Loved the World and Dr. Huntsman’s blog. The only event the gospels record for the day after the crucifixion is the posting of a guard at the tomb at the request of the chief priests and Pharisees (Matthew 27:62–66). 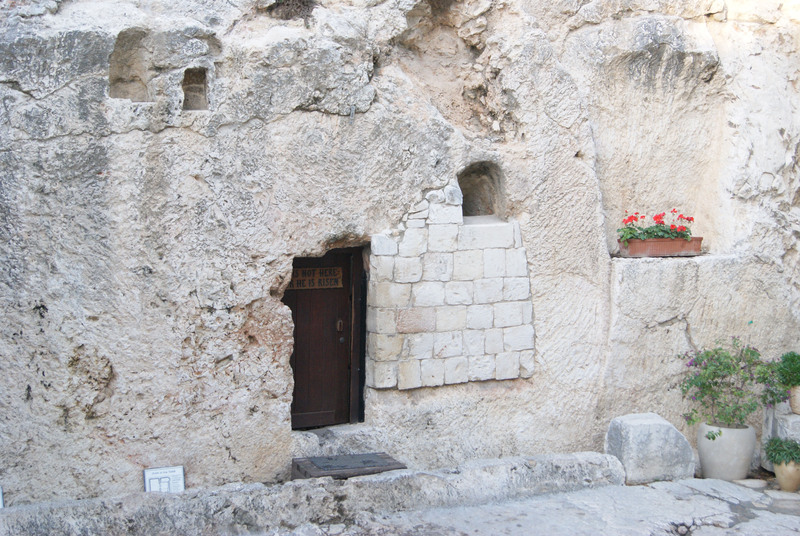 Because this was ostensibly Saturday, the Jewish Sabbath, Jesus’ family and friends stayed away from the tomb that day. Nothing else about Jesus’ body in the tomb or the activities of his disciples who were still in Jerusalem is known from those texts, although the Book of Mormon records that darkness prevailed among the Nephites during this period, symbolizing that the Light of the World had left it (see 3 Nephi 9–10). Yet while the body of Jesus was in the tomb, his spirit was nonetheless alive and active. An intriguing notice in 1 Peter 3:18–4:6 alludes to Jesus’ preaching to the dead or “spirits in prison.” Christian tradition relates the so-called “Harrowing of Hell,” wherein Jesus broke the bonds of Adam and Eve and brought them and other Old Testament saints from hell into heaven. Although LDS doctrinal statements do not include statements such as “and he descended into hell” as do the Apostolic and other creeds, Restoration scripture does stress that “he descended below all things” (e.g., D&C 88:6, 122:8). “As I pondered over these things which are written, the eyes of my understanding were opened, and the Spirit of the Lord rested upon me, and I saw the hosts of the dead, both small and great. And there were gathered together in one place an innumerable company of the spirits of the just, who had been faithful in the testimony of Jesus while they lived in mortality; And who had offered sacrifice in the similitude of the great sacrifice of the Son of God, and had suffered tribulation in their Redeemer’s name. “All these had departed the mortal life, firm in the hope of a glorious resurrection, through the grace of God the Father and his Only Begotten Son, Jesus Christ. I beheld that they were filled with joy and gladness, and were rejoicing together because the day of their deliverance was at hand. They were assembled awaiting the advent of the Son of God into the spirit world, to declare their redemption from the bands of death. Their sleeping dust was to be restored unto its perfect frame, bone to his bone, and the sinews and the flesh upon them, the spirit and the body to be united never again to be divided, that they might receive a fulness of joy. “While this vast multitude waited and conversed, rejoicing in the hour of their deliverance from the chains of death, the Son of God appeared, declaring liberty to the captives who had been faithful; And there he preached to them the everlasting gospel, the doctrine of the resurrection and the redemption of mankind from the fall, and from individual sins on conditions of repentance.